Dental crowns are a multi-purpose restoration. When a tooth has a large cavity or requires a root canal, a crown might be placed to maintain the integrity of the tooth and provide protection. Crowns also cover and strengthen teeth affected by physical damage or cosmetic issues. Crowns are often referred to as caps, and they function much like a cap (hat) does. They cover the entire tooth surface above the gum line, and once they are in place, crowns look, feel, and function just like the natural tooth beneath. Placing a crown begins by sterilizing and shaping the natural tooth. This may involve the removal of tooth structure or the building up of tooth structure with restorative materials. An impression will be made of the tooth and submitted to a dental lab. Dr. Johnson will fit you with a temporary crown until the permanent restoration is complete and ready for placement. Your permanent crown might be fabricated from porcelain, porcelain over metal, or precious metal. The location of the crown in your mouth will influence the type of material used to create it. A dental lab technician will use Dr. Johnson’s exact design plans when building your permanent crown. At your follow-up visit, your temporary will be replaced with the final restoration. Crowns can also be attached to dental implants, or as an anchor for a bridge, when used as part of a permanent prosthetic restoration. If you would like to schedule a consultation with Dr. Jessica Johnson at Valley Ridge Family Dental, contact our office at (515) 223-9764. 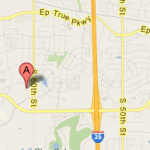 We serve West Des Moines, Waukee, Clive, Urbandale, and the surrounding Des Moines metro communities.